Note: Clicking the Add to Cart button under each book cover adds the selected book to your No Bull Press/Graze magazine shopping cart. Use your credit card or paypal account for payment. Join a group of frisky, busy calves (or “moos”) for a summer day on the dairy farm. Readers are asked if they are like the playful calf, the hungry calf or one of the others? Playful? Surprised? Curious? The calves on this farm are all of these and more. Come spend a day at the farm with the calves as they learn, play, and explore the world around them. 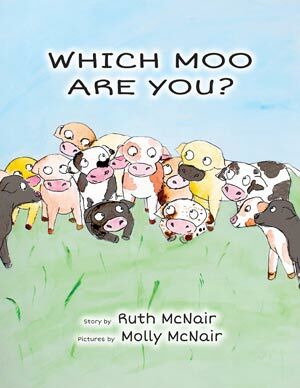 This picture book for ages 2-6 is filled with fun rhymes and engaging illustrations, and ends with the encouraging message that we are all more than the labels that others assign to us. Jim VanDerPol farms and writes in a western Minnesota world very different from the one in which he was raised in the 1950s and 1960s. The small, diversified farms and tight-knit communities of his youth have been replaced by town jobs and gigantic equipment operating on huge tracts of land. The culture of the agriculture that Jim knew is almost entirely gone, and he wants it back. Through his farming, alternative marketing, writing and work with sustainable agriculture groups in Minnesota, Jim is making an important contribution toward efforts to resurrect that culture. 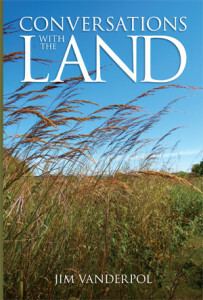 Where others simply pine for days of yore and lament what has happened, in Conversations with the Land Jim offers a clear and down-to-earth vision for what each of us can do to return agriculture to something that can do better by the environment, the people who live within it, and even the nation as a whole. 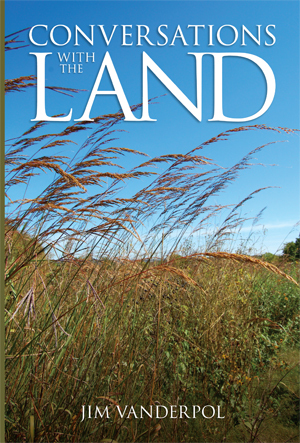 Those who are concerned that we have moved too far from the land will find much to think about — and draw inspiration from — in the pages of this book. “This is a book of personal reflections on farms, farming, and farmers. VanDerPol talks about the weather, people and communities, and better ways to produce food and to live. From his base in Minnesota, he gives his thoughts about the way agriculture has changed and what can be done to make it better.” Marion Nestle, food studies scientist and author of Food Politics. “Jim Van Der Pol has the talent as a writer to share his unique wisdom through compelling stories of life on a real family farm.” John Ikerd, agricultural economist and author of Sustainable Capitalism. “Anyone who wants to experience what living a life of wellbeing looks like in the real world, as well as get a clear understanding of the many things that stand in the way of living such a life for most of us, should read this engaging book.” Frederick Kirschenmann, author of Cultivating an Ecological Conscience: Essays From a Farmer-Philosopher. “Jim is an authentic voice from our movement. Plain spoken and poetic, a read through these essays will bring urbanites closer to the land, and farmers more deeply to their roots. I love this book.” Shannon Hayes, Sap Bush Hollow Farm, author of Radical Homemakers. “These essays show us that agri-culture and agri-business are two entirely different worlds. This is a book about good farming.” David Kline, farmer and editor of Farming Magazine. “Jim VanDerPol is a farmer- writer who writes with clarity and skill about how agribusiness has changed not only our relationship with the land and our food, but how our sense of community and connection to one another has been displaced as well.” Patricia Larenas, author on eatdrinkbetter.com. Jim talks about his book on a May 30, 2012 radio interview on the Responsible Eating and Living Show.